Welcome to Midlands Mazda Finance Department, your auto loan and car lease resource. Shopping for a new car can be a stressful experience, but it doesn’t have to be. 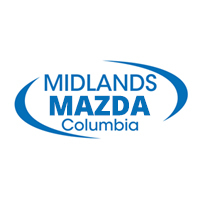 When you shop with Midlands Mazda, our Finance Department is here every step of the way, to ensure that you’re able to secure the lease or loan you need to drive home in your new Mazda. Check out our online car loan calculator for an instant car loan rate. Then, proceed to our online finance application. Looking for a Mazda offer, or simply want to walk through your auto finance options? We can help you with that. All types of credit, from good to bad, may qualify for an auto loan. We will work with you to secure a no credit car loan if your situation demands it. Midlands Mazda has strong relationships and is committed to finding you the perfect car loan company to suit your car finance needs. After you’ve browsed our new car inventory online, you can even apply for financing from the comfort of your own home. If you have any questions about Mazda finance options along the way, don’t hesitate to reach out! We want to help you lock down ideal financing rates on your dream car. Be sure to read about whether or not gap insurance is right for you.